Managing your finances can be intimidating. It’s tempting to let someone else handle investments for you, but can you trust a robot to oversee your money? Automated investing apps make investing easy, even if you don’t know the first thing about the market 5 Websites Where You Can Learn To Invest Money 5 Websites Where You Can Learn To Invest Money Learning to invest can be intimidating, but these five websites help make it easy with clear explanations and useful advice. Read More . They automatically take money from your bank account so you don’t have to worry about saving. They can also manage your investments for you. It all seems good, but giving your money away to any sort of investor — whether automated or not — isn’t a great idea if you don’t know what they’re going to do with it. You should ask yourself how these apps make investment decisions, who designed the algorithms, and whether they’re secure. This article will help you get to the bottom of these questions. [A]n online wealth-management service that provides automated, algorithm-based portfolio management advice without the use of human financial planners. 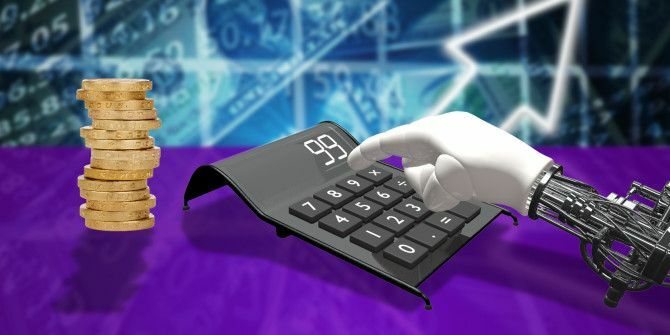 In short, roboadvisors are algorithms that take some input, like your goals and preferences, the market conditions, and — most importantly — your money, and make investments they predict will be successful. The metrics and software used by these systems is similar or identical to that used by human advisors, but there’s very little human involvement. Clink, Acorns, and Betterment are good examples of the roboadvisors that people are using to make investments for them. We’ve talked about them in the past and pointed out that they can be really useful if you don’t know where to start when investing. 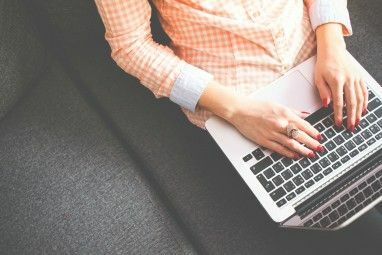 They’re also a great way to get started if you aren’t prepared to dive head-first into investing What You Need to Get Started Investing Online What You Need to Get Started Investing Online Online tools can help take the hassle out of investing, but you need to make sure you're prepared before you get started. Read More . If you’re a bit skeptical of the whole process, you’re probably wondering how it works. Essentially, you put your money in and you get a report saying that you earned some money back. But what happens in between? This is an important algorithm 4 Machine Learning Algorithms That Shape Your Life 4 Machine Learning Algorithms That Shape Your Life You may not realize it but machine learning is already all around you, and it can exert a surprising degree of influence over your life. Don't believe me? You might be surprised. Read More , but how does it work? All three of the apps mentioned above use an investment method called Modern Portfolio Theory (MPT) to guide where they invest your money. A full explanation of MPT is way beyond the scope of this article, but the general idea is that it aims to optimize a portfolio’s returns for a given level of risk. Any asset’s risk and return is interpreted as part of the overall portfolio’s risk and return, instead of taken into account on its own. The economist who invented MPT won a Nobel Prize in Economics for coming up with it, so you can be pretty confident that it’s a good way to invest. So, using this framework, a roboadvisor will ask you what level of risk you’re willing to take on — it’s often presented as a continuum with a number of options. Acorns, for example, lets you choose “Conservative,” “Moderately Conservative,” “Moderate,” “Moderately Aggressive,” or “Aggressive.” Each level of risk has a different asset distribution. Acorns’ Aggressive portfolio has a high number of real estate stocks and a much lower percentage of government bonds. The Conservative portfolio reverses the two. All of the apps focus on exchange-traded funds (ETFs), which are very popular investments. They can be thought of very simply as somewhere between a stock and a mutual fund, and don’t require you to constantly be on top of the market The 10 Best Finance Sites to Help You Stay on Top of the Market The 10 Best Finance Sites to Help You Stay on Top of the Market Looking for the best finance websites to keep you on top of the market? Here are the best sites for news, investing, and more. Read More . If you read a lot about investing, you’ll probably find that low-cost ETFs are often recommended as a very safe investment. Each app has different sources for their ETFs, but they all rely heavily upon Vanguard funds, which have historically performed well. When you sign up for an automated investing system, you’ll need to hand over your bank credentials so the service can take money from your bank account and invest it. This might make some people understandably nervous, especially with the number of high-profile hacks that we’ve had over the past five years or so. Does Clink store my bank login information on its servers? No, Clink does not store your banking details. Your banking credentials are only used once to authenticate and verify that the account belongs to you. All credit card information is stored by ENVESTNET, a leading provider of unified wealth management technology and services to investment advisors. All of the apps emphasize that they use bank-level security, as well. Of course, no security system is completely impenetrable, but this is some of the most secure tech out there. Banks know that they need to invest in your security or they’ll lose your business, and roboadvisors are no different. Which Automated Investing App Is Best? Because the apps we’ve talked about — and many of the roboadvisor services that you can use online — use MPT to guide their investments, you’ll often have to look at other factors to figure out which is best for you. Fees, for example, is one aspect that can differ. If one service charges more per transaction, or a monthly fee, or any other sort of charge that another service doesn’t, you may want to choose the one that will cost you less, so your earnings are reinvested without being garnished first. Certain apps have specific features that you might want too. For example, if you’re looking for an app that automatically takes a percentage of what you spend, or rounds your purchases up and invests the spare change 4 Ways You Can Save Money With Apps and Websites 4 Ways You Can Save Money With Apps and Websites It's vital to have enough money in your savings accounts. Take the first steps to financial security by using these apps and websites. Read More , you can do that. There are plenty of other features that you can get, and if you find one that appeals to you, that can be a viable decision-making strategy. Otherwise, if you have specific preferences for which funds are traded in your account, you can choose a service based on this condition. Every app and service will make the list of their traded funds available, and if there’s something you’re looking for, you can find a service that includes it. 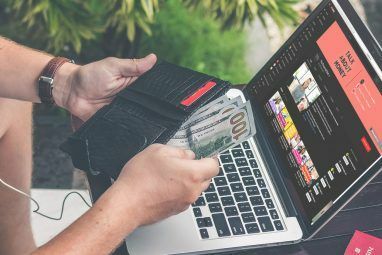 If you’re knowledgeable enough to want to pick your own funds, you may want to either take a fully DIY approach to investing How to Buy Stocks Online Faster, Cheaper, and From Anywhere How to Buy Stocks Online Faster, Cheaper, and From Anywhere It's easy to invest in stocks without a broker and save yourself a lot of money in the process. We show you how with four top tips. Read More or get in touch with a more traditional investment firm. Some of the larger roboadvisors also require a significant initial investment. MarketRiders, for example, requires that you have at least $25,000 in investable assets. None of the app-only services we’ve been discussing have requirements like this, but if you’re looking for a more full-featured option, it’s something to keep in mind. Can Roboadvisors Help Me Meet My Goals? Automated investing algorithms are good for one thing: getting the most return on your investment while minimizing risk. If you’re trying to retire, save for college, save up for a down-payment on a house, or just establish a savings buffer, they can help. But investing is only one part of a sound financial strategy 7 Tools To Help You Develop A Solid Financial Savings Plan 7 Tools To Help You Develop A Solid Financial Savings Plan Read More , and roboadvisors aren’t going to help you much with the rest of it. For example, saving for retirement involves not just investing, but also making calculations on how much you’re going to need to save Are You Saving Enough for Retirement? Find Out With These 9 Tools Are You Saving Enough for Retirement? 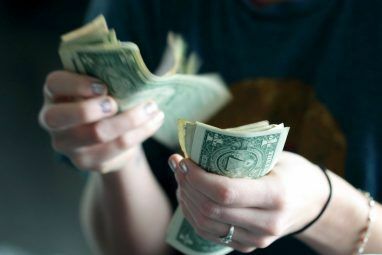 Find Out With These 9 Tools Saving for retirement is one of the most important things you can do - but how do you know if you've saved enough? Here's 9 tools to help you find out. Read More to have a sufficient buffer of money when you stop working full-time. If you want to buy a house, you’ll need a financial plan to make sure your lifestyle can support the added expense of a mortgage. Roboadvisors might be able to offer some advice, but it won’t be personalized to your situation. You’ll need to either use other resources to get that information or talk to a financial advisor. So while an automated investing solution will help you reach your goals, there are other pieces that you’ll need as well. These five answers should give you a good idea about how automated investing apps and services work, who they’ll be good for, and when they might not quite be enough to meet your needs. When it comes to financial decisions, you can’t have too much information! What other questions do you have about roboadvisors? Have you used any of these automated investing apps? How has your experience been? Share your thoughts and questions in the comments below! Explore more about: Financial Technology, Investments, Personal Finance.